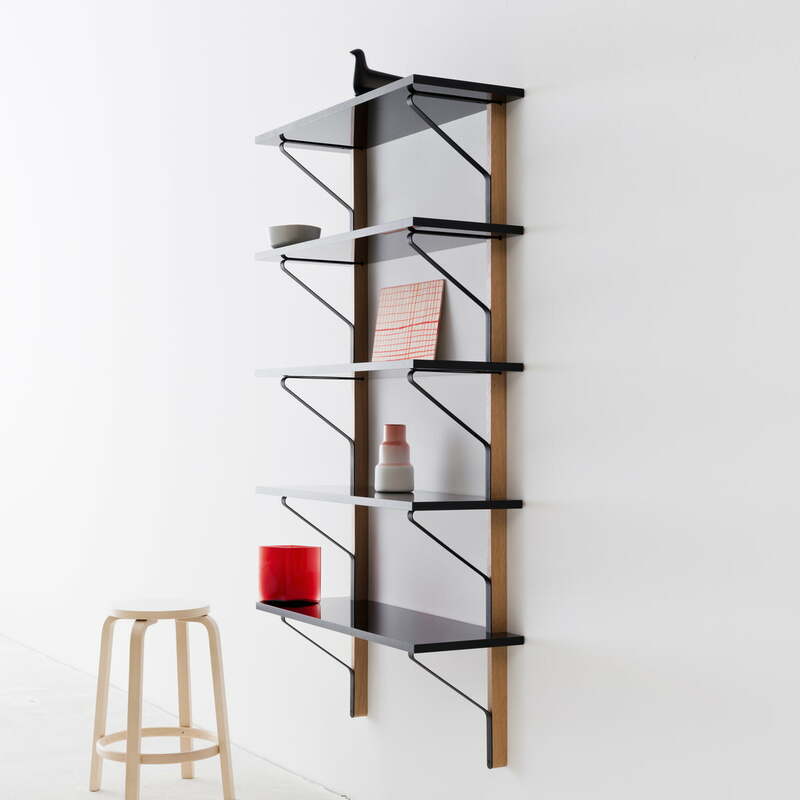 The REB 009 Kaari Wall Shelf 100 x 35 cm by Artek is part of an innovative collection by Ronan and Erwan Bouroullec, the concept of which is based on a special table leg. The table leg has been transformed for the shelf, acting as a bracket for the panels. 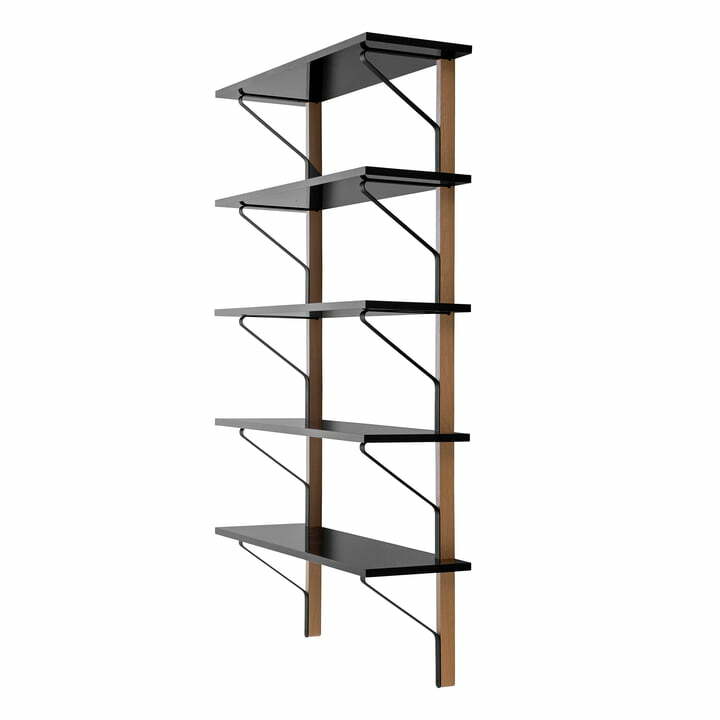 The shelf offers three levels, each 100 cm, providing enough space for folders, books, images and other objects. Diagonal, bent steel struts, which provide support for the tables in the collection, provide horizontal stability for the shelves. The combination of solid oak and a soft, metal bend give the furniture a surprisingly lightweight appearance. It is a construction that supports a wide variety of tabletops and shelves - big and small, round and square, low and high. The surface of the three shelves consists of linoleum and high pressure laminate (HPL), which absorbs light in unusual ways, or reflects it. Over time, these materials form a very special surface. The REB 009 Kaari Wall Shelf 100 x 35 cm by Artek is part of an innovative collection by Ronan and Erwan Bouroullec, the concept of which is based around a particular table leg. For this shelf, the table leg has been transformed and serves as a bracket for the shelf ledges.